Britain could become the first country in the world to allow three parent babies if the law allowing creation of IVF babies from three parents is passed. The lawmakers of the country will now vote on mitochondrial DNA donation techniques, aiming to prevent serious diseases which can be passed on to children and affect major organs. The mitochondrial deformities thus passed on can cause symptoms ‘ranging from poor vision to diabetes and muscle wasting’. The MPs will today be asked to amend the Human Fertilisation and Embryology Act 2008 to allow the DNA of a ‘second mother’ to be used to repair genetic faults in an unborn child after a 90 minute debate on the topic. The move has come under flak from academic institutions around the world including the US based FDA. At the end of the debate, MPs have a free vote on the issue, meaning they can vote according to their conscience without being forced to vote along party lines. Opponents question the technique’s safety and warn it could lead to “designer” babies but Prof Dame Sally Davies, England’s Chief Medical Officer, says the technique would prevent great suffering. Pioneered by scientists at Newcastle University, mitochondrial donation involves using standard IVF techniques to fertilise an egg from an affected woman and another from a donor. The nucleus which contains 99.9% of the parents DNA is then removed from the affected embryo, leaving behind the defective mitochondria. At the same time the nucleus from the donated embryo is also removed and then transplanted with the nucleus containing the parents’ genes into the donated embryo, which would then be implanted in the mother’s womb. According to estimates, 2,500 women in the UK who are affected by mitochondrial diseases could make use of this technique and avoid passing on serious deformities. IVF pioneer Lord Robert Winston told The Daily Telegraph newspaper that the procedure was ‘no more sinister than a blood transfusion’. International charities have written an open letter to MPs urging them to back a change in the law, saying it “offers families the first glimmer of hope that they might be able to have a baby that will live without pain and suffering”. If the proposed law does get passed, it will pave the way for first human trials from October. 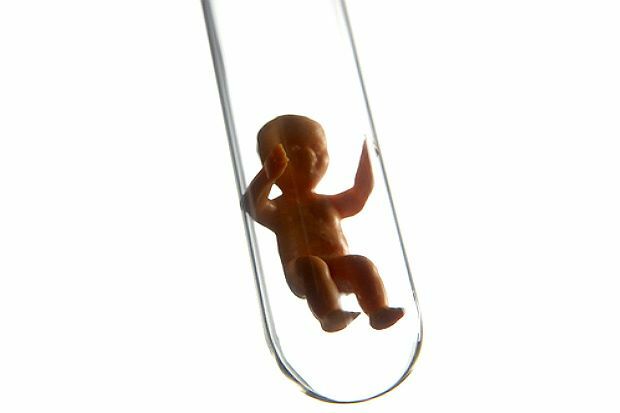 Meaning the ‘genetically engineered’ or ‘designer’ babies could become a reality by the fall of 2016.